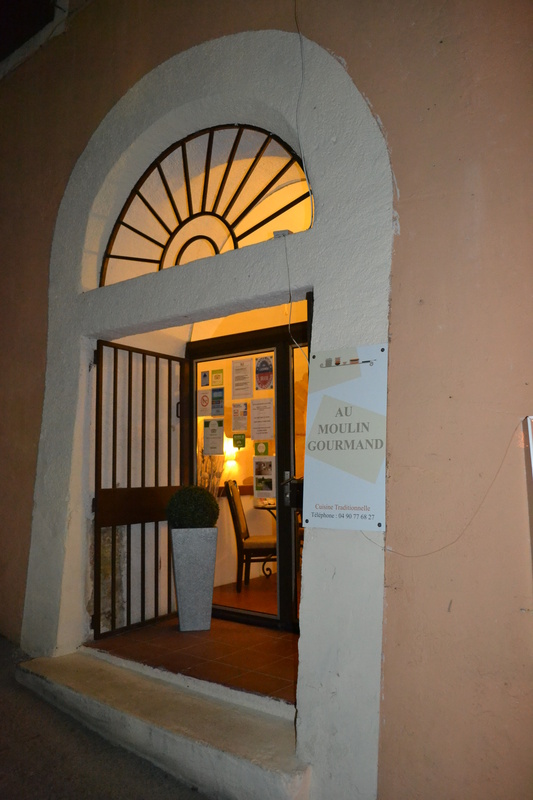 We weren’t able to eat at Au Moulin Gourmand in Cadenet, France on the Monday evening as most restaurants are closed on that day, so of course the ones that were open need to be booked in advance and we hadn’t done so. 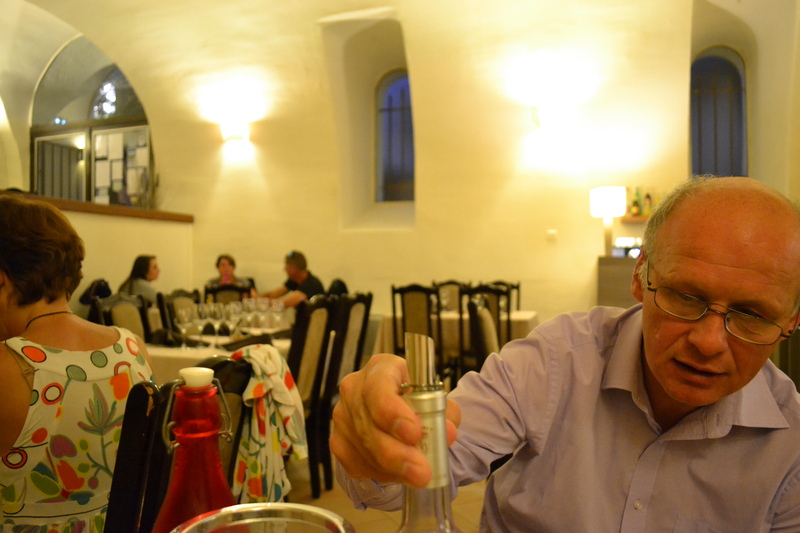 However, we booked for the following evening and asked if they could recommend somewhere, they sent us just around the corner to La Source which was very nice and I shall review that at a later date. So many good restaurants to review in our week away! Au Moulin Gourmand is a family run restaurant. The daughter is front of house, mother is in the kitchen along with chef Philippe Anzallo, the father and the young lady who served us was a student. It’s situated within an old 17th century olive mill and still has a large grinding stone taking pride of place in the room. We were warmly welcomed and as we were the first to arrive we were able to chose which table to sit at. It was by the side of a large fireplace with some old brickwork visible, so I could see the whole room plus the serving hatch and into the kitchen where the chef was chopping away. 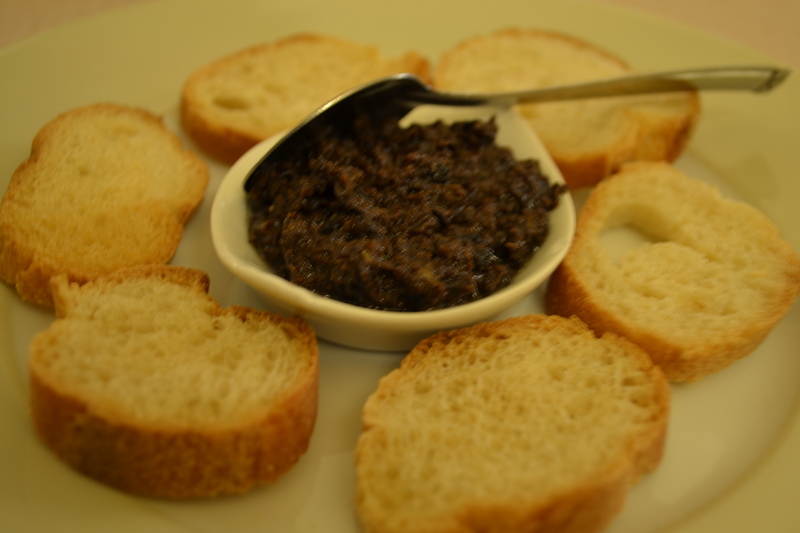 First we were given some canapés, crostini with an olive tapenade. Very apt. 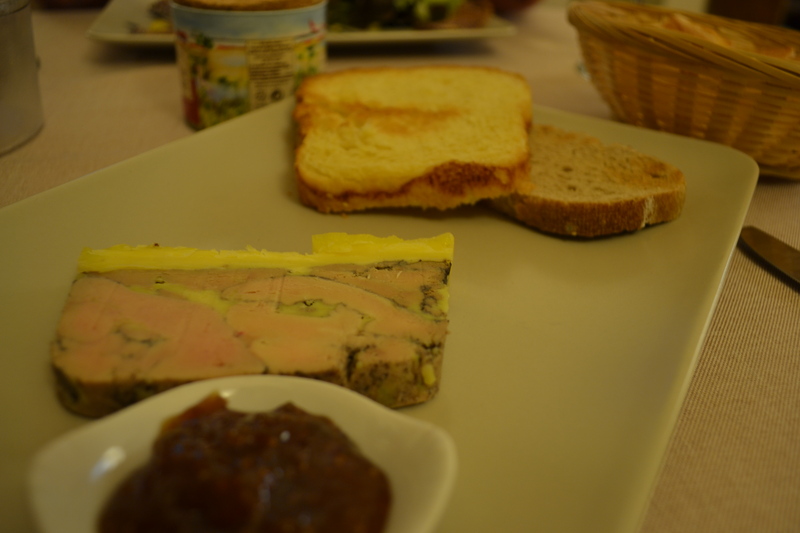 I chose the home-made duck foie gras for my starter which was served as a terrine. It was very tasty and served with a fig jam. A basket containing toasted brown bread and a slice of sweet-tasting brioche accompanied it. Geoff enjoyed his fish dish which was a ‘sweet potato and cod mille feuilles‘, served with a fresh side salad and waffle-type crisps decorating the plate. Geoff said it was ‘very good, subtle, different and light’. We shared both the lamb and the beef dish. 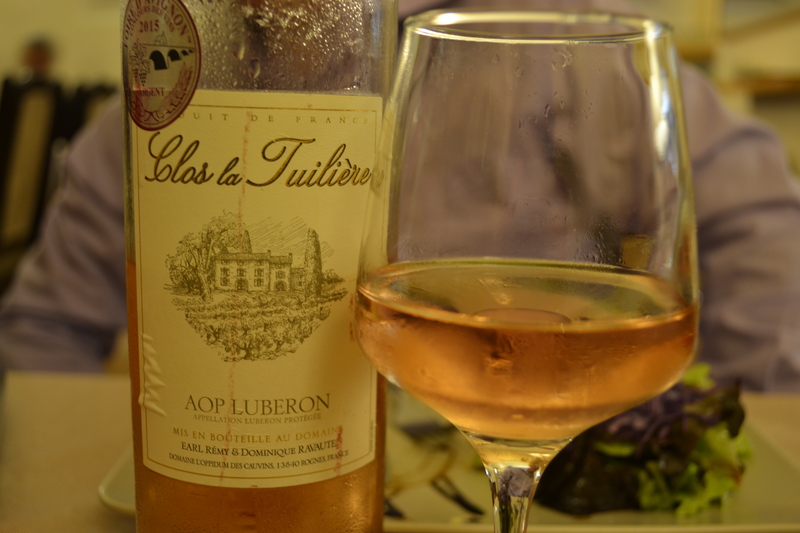 Both were superb with SO many flavours it truly was amazing! 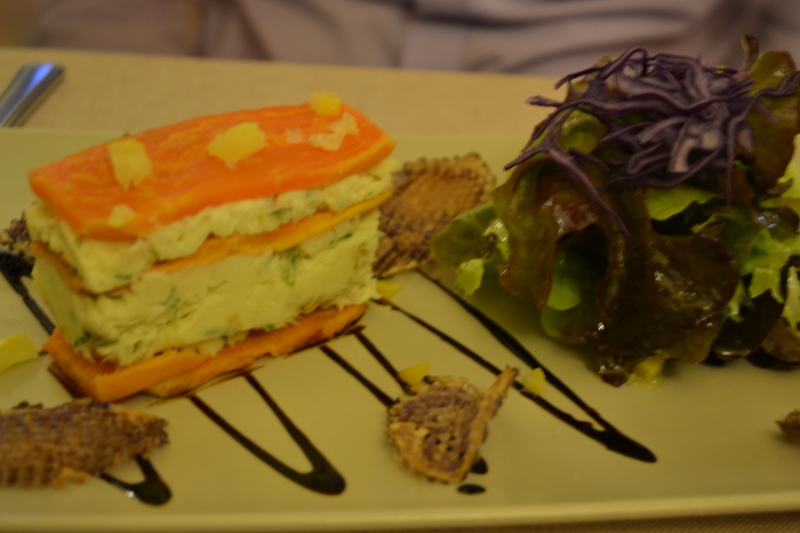 Each dish had a spoonful of mashed potato which had chunks of cooked apple in and a medley of courgettes and peppers. 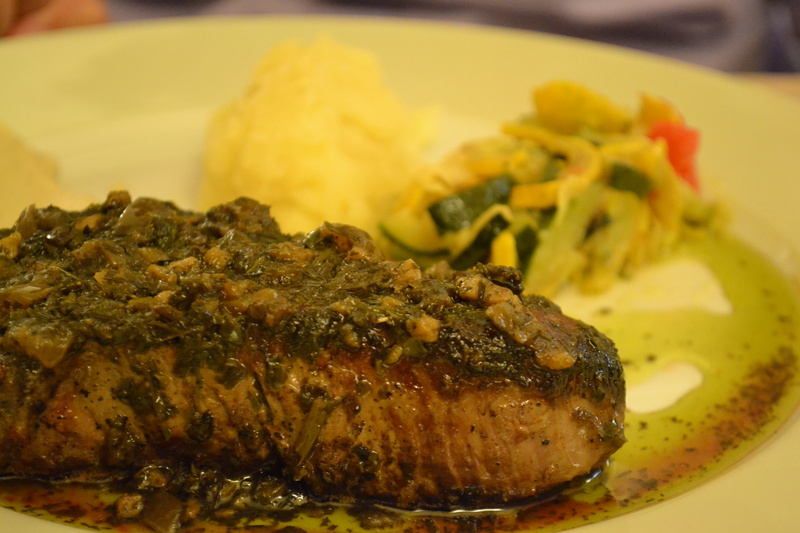 The wonderful Herbes de Provence really made the dish. Every mouthful had a burst of flavours. Geoff had his eyes closed whilst eating his meal in pure ecstasy. We were sad when we came to eat the last mouthful. The beef fillet was cooked medium and again, excellent. So tasty and succulent, topped with a crust of flavoursome herbs. 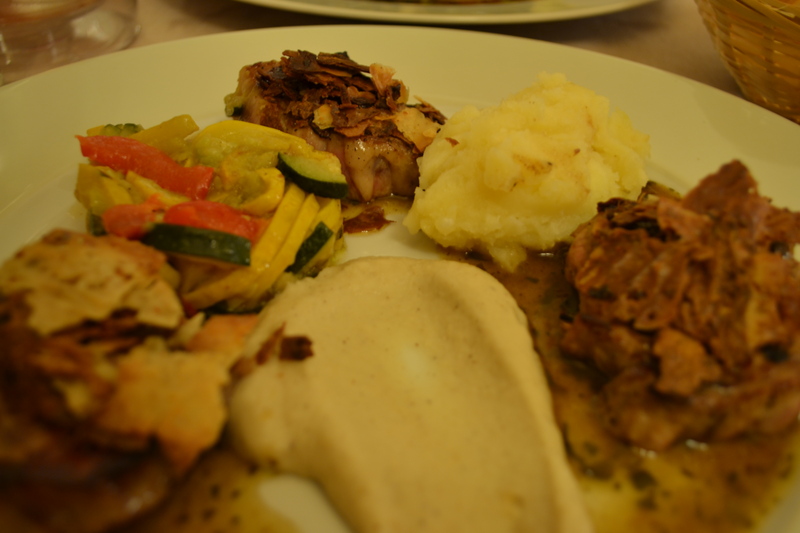 The lamb was tender served with a béchamel sauce and a ‘garlic crumble’, like toasted flakes of garlic on top of the noisettes. 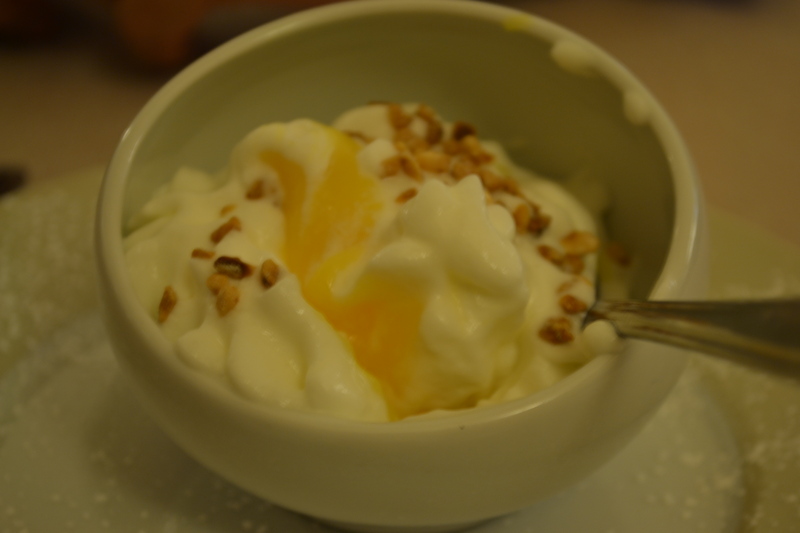 For dessert Geoff’s créme au citron was fluffy and creamy with a sharp tasting lemon curd type of centre. 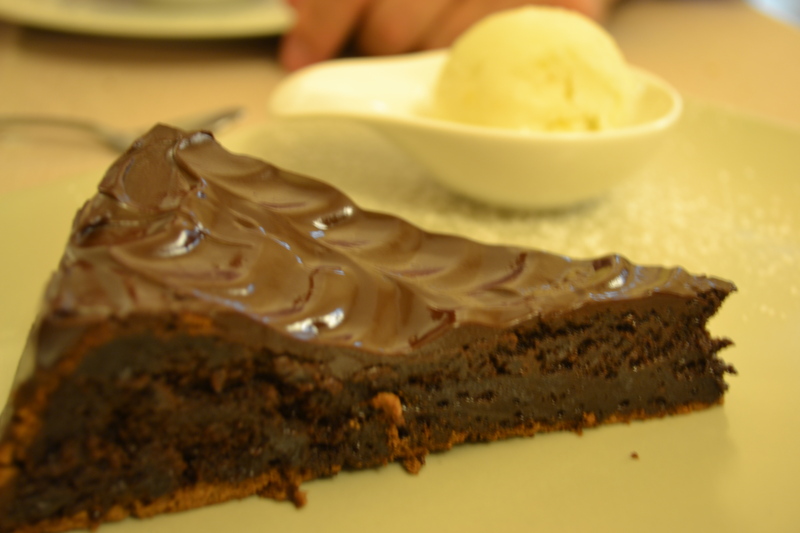 My chocolate cake was similar to a brownie with a gooey centre. The lime sorbet served with it was again very sharp with little bits of pith but it went very well with the rich chocolate and was delicious. 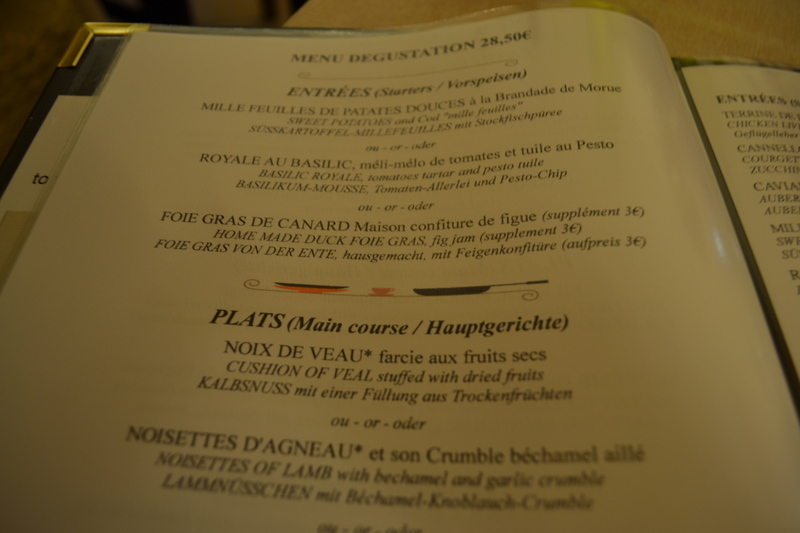 Au Moulin Gourmand was one of our favourite places to eat during the week of our stay with all those flavours they really used the Herbes de Provence well. In the background we had music such as ‘Moon River’ and other slow, relaxing songs. At the end of the meal the chef came out to speak to each table which was a really lovely touch. He spoke no English but I think he could tell by our smiles and me gabbling on in animation that we loved it and his daughter came along to translate. Definitely worth a visit if you’re in the area.